Yeah! 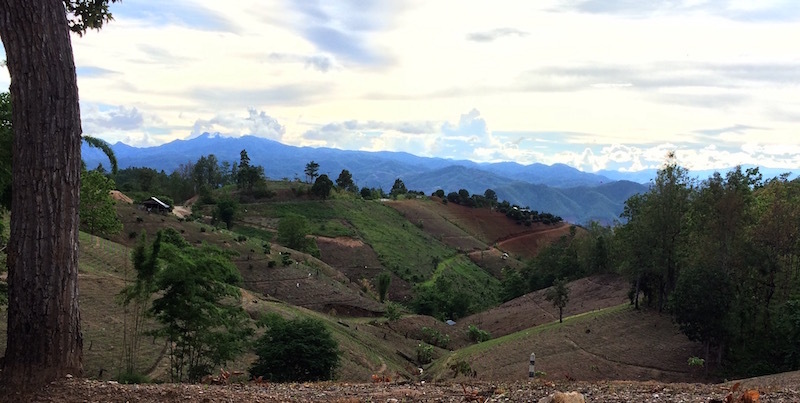 I plan to commence the Mae Hong Son Loop today, doing it in the clockwise direction. 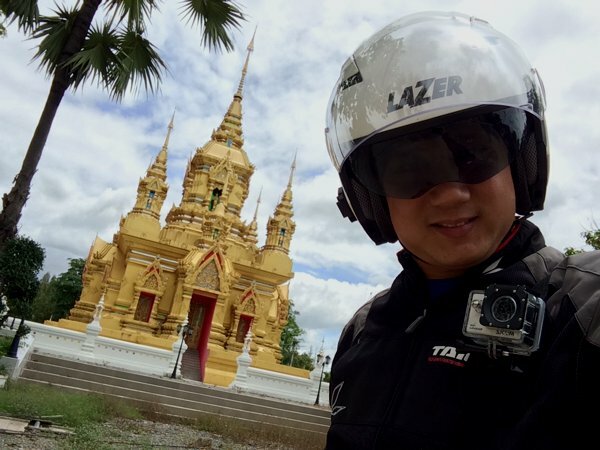 I’ll head towards Doi Inthanon – the highest peak in Thailand, and then just stop along the way at any interesting spots. 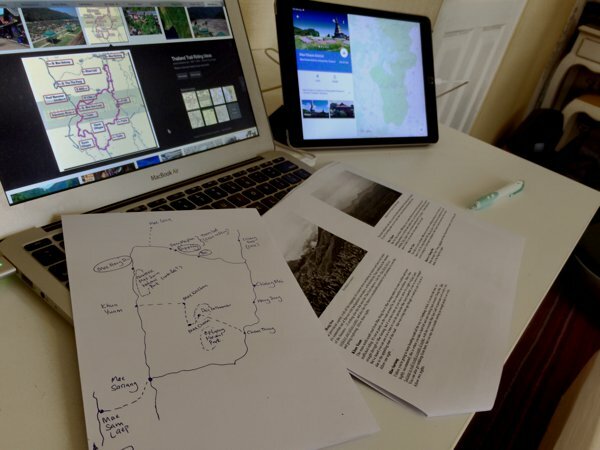 This is how I normally like to plan an adventure – without too much planning. Pick a destination, and head towards there; stopping along the way as deem fit. But first, I had to familiarise myself with the area. So I fired up my laptop and did some basic research in the morning. …and off I go! Heading towards Doi Inthanon. Spotted an unknown Wat along the way. Still under construction. …and saw some farmers hard at work. 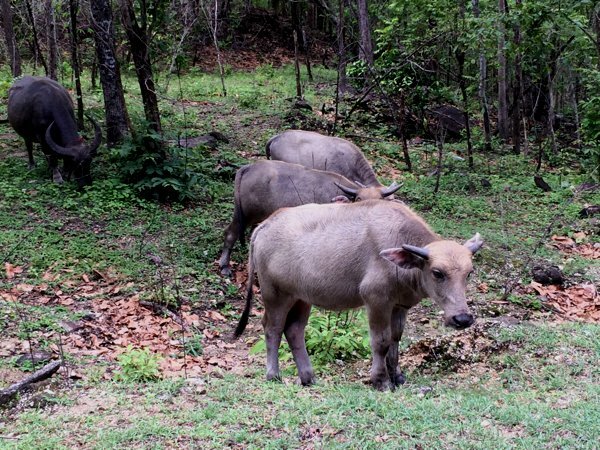 Entrance fees for the Doi Inthanon National Park. 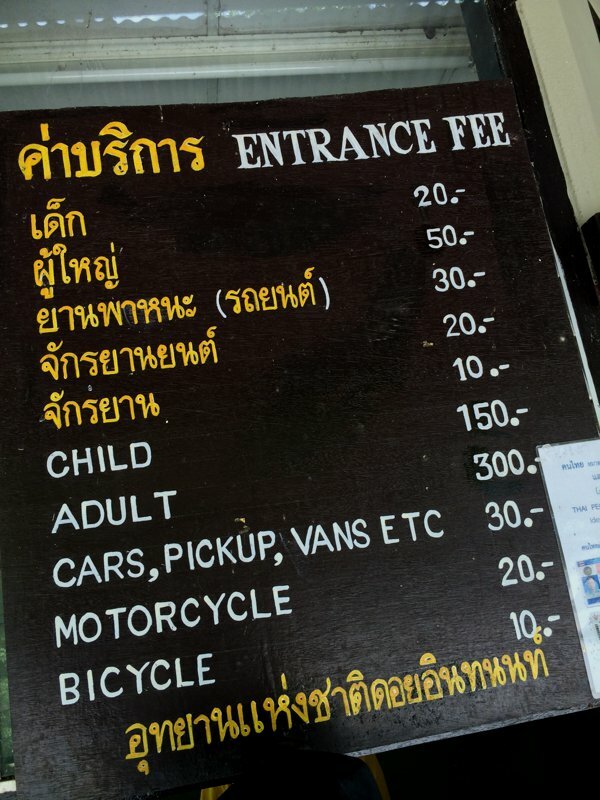 I’m pretty sure it says “Thai prices in gold, tourist prices in white.” I paid 320 baht – 300 baht for me, and 20 baht for the Pulsar. Turn in to Maeya Waterfall along the way. 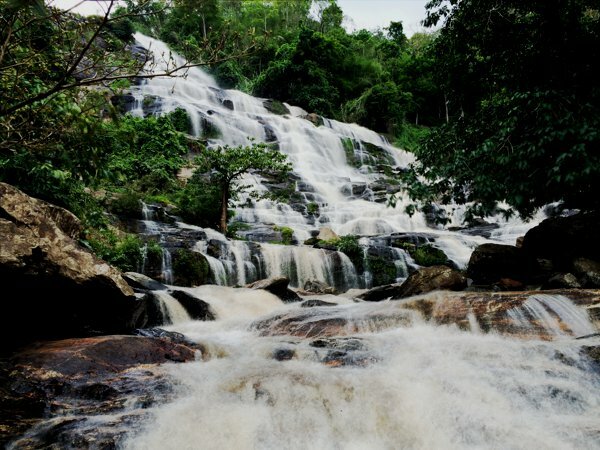 Majestic view of the Maeya Waterfall. I had my iPhone 5s set on a mini tripod and combined 10 shots to make this look like a long exposure shot. Passing a family of cow. Almost knocked into one when it ran across the road. Stopped for lunch along the way. 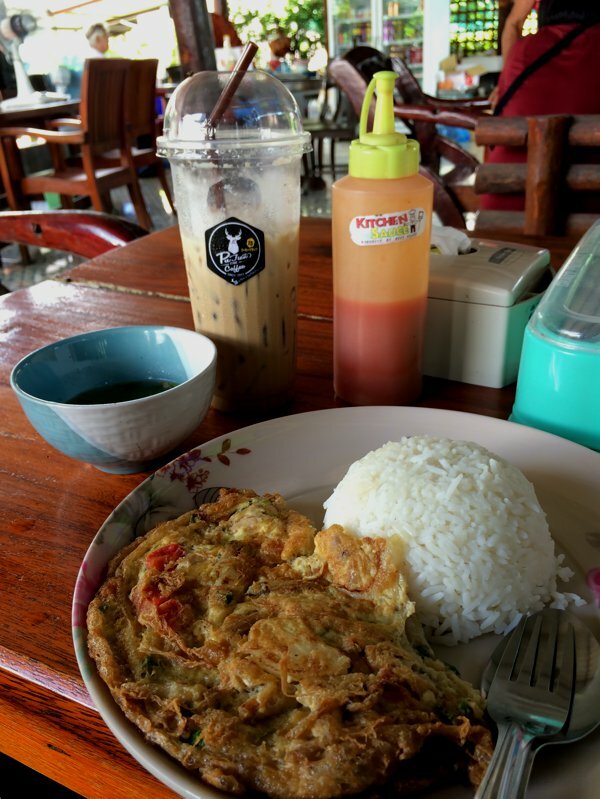 Crab meat omelette rice and a tall glass of iced coffee. This was probably the best iced coffee I ever had! 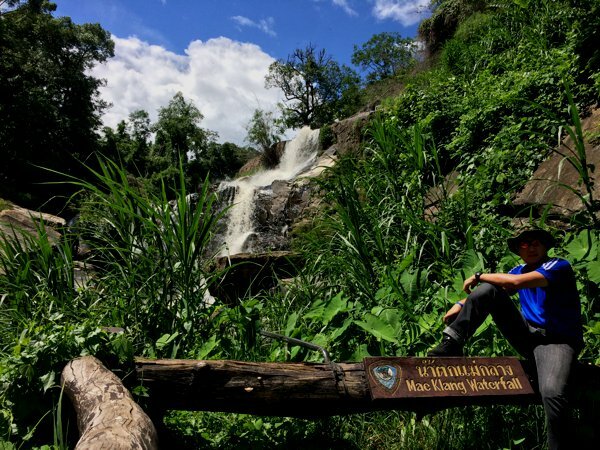 More waterfalls in Doi Inthanon National Park. 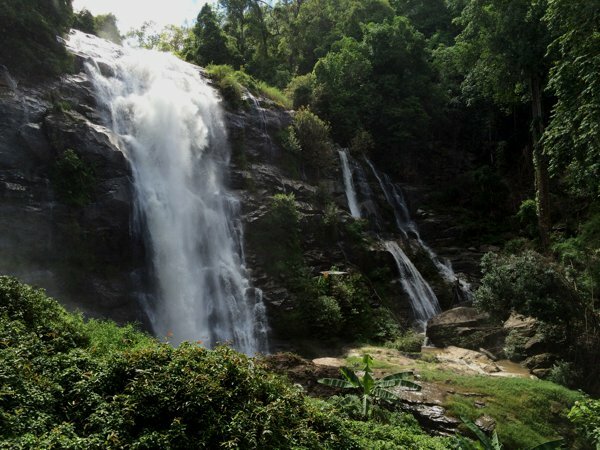 This is Mae Klang Waterfall. …even more waterfalls. Wachirathan Waterfall. 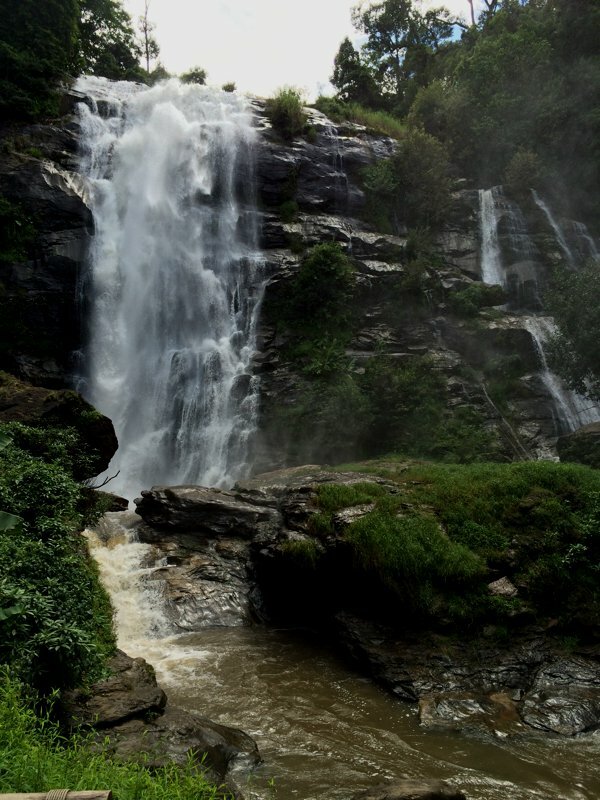 Another view of the Wachirathan Waterfall. This looks like some terraced paddy field. 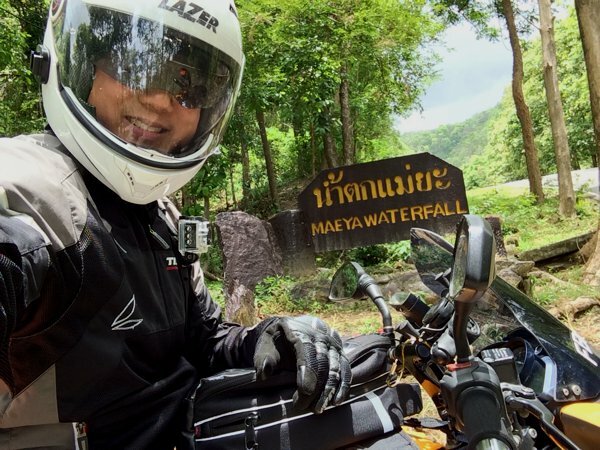 The roads up to Doi Inthanon were twisting and winding – the perfect motorcycle playground! 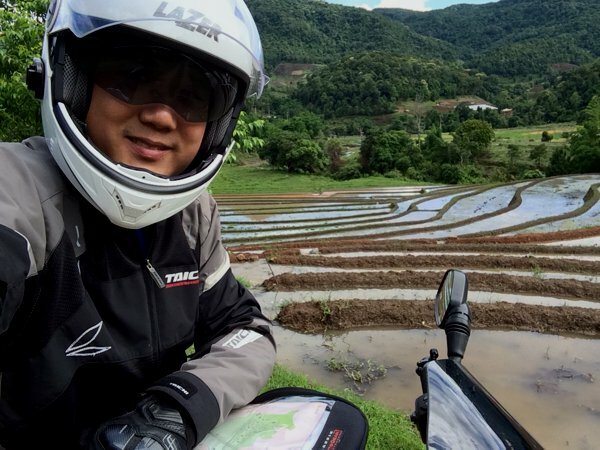 On many occasions, I was forced to remain in low gear as the humble 200cc single-cylinder made its climb. I prayed hard that the engine doesn’t overheat and was actually rather relieved as I felt the ambient temperature fast dropping as we ascended. It got so high that I actually had to ride through a low hanging cloud, and visibility dipped to about 150m or so. The fog lights came in useful here. Finally! 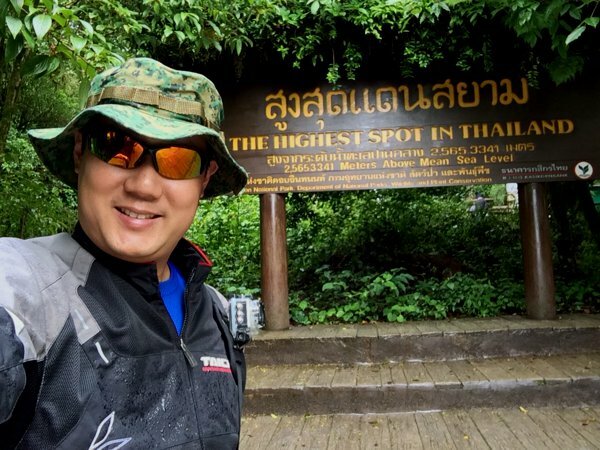 Top of Doi Inthanon – the highest spot in Thailand! My GPS tells me I’m 2,577 meters above sea level. 12degC. The mesh jacket did little to keep me warm. 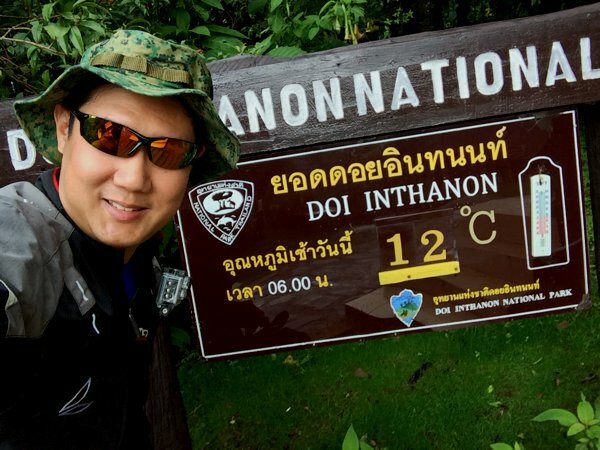 An easy trek at Doi Inthanon. 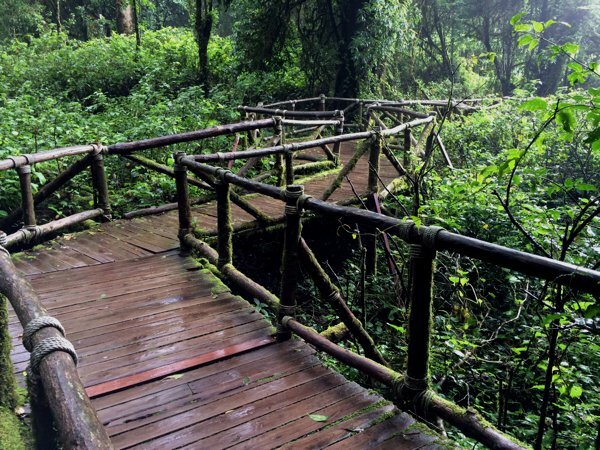 From the looks of the moss-coated wooden rails, this place must be wet most of the time. 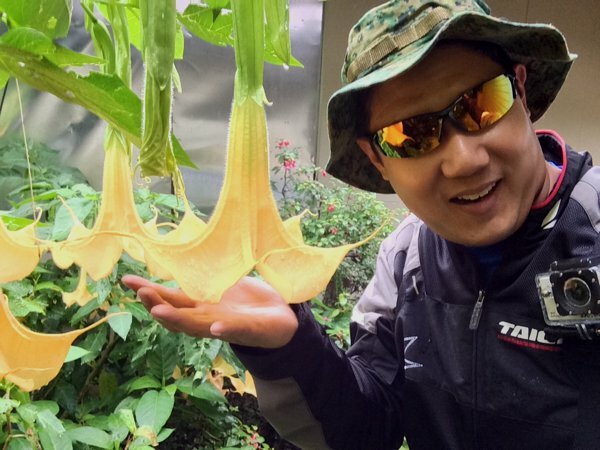 This hanging angel’s trumpet was as large as my face! The plant contains toxic alkaloids which can cause blurred vision, dizziness, hallucinations and, in larger doses, death. I wonder why it has the “angel” name to it. Yikes! What goes up must come down. While the climb up was arduous, the journey down sought to release all that accumulated potential energy. As I passed some cars, I could smell the scent of burning brakes. I was conscious to not overuse my brakes and lead to a brake fade, and so I was on low gears most of the time. The road was so steep at some stretches that even at gear 2, I was gaining speed had I not used any brakes! At a manageable 40-50kmh on gear 2, my tachometer was reading approximately 7-8,000rpm – with ZERO throttle inputs! 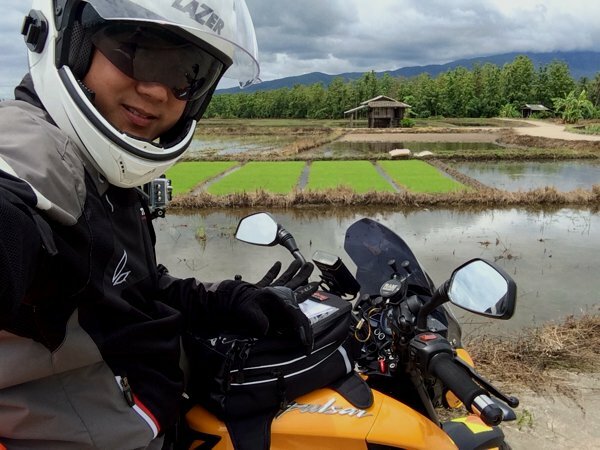 By the time I got down from Doi Inthanon, it was already close to 5pm, and I haven’t made any accommodation reservations. So I fired up the Booking.com app on the iPhone and searched for a nearby accommodation. 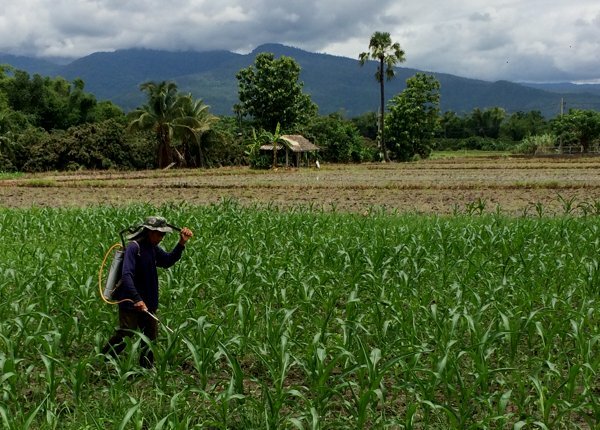 After a little browsing, I settled on Kwan Lah Homestay at the nearby town of Mae Chaem. 550 baht. Hi. Raymond Lim.Singaporean here. 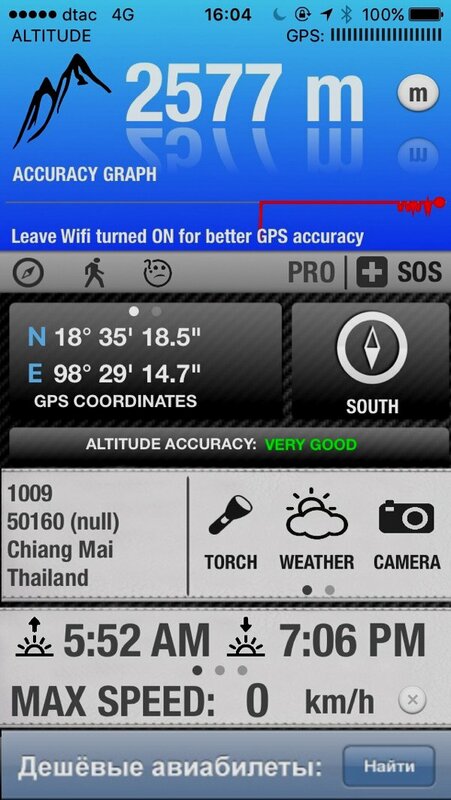 What is the type, brand of your GPS? Where can I buy it in Singapore? How much is it? 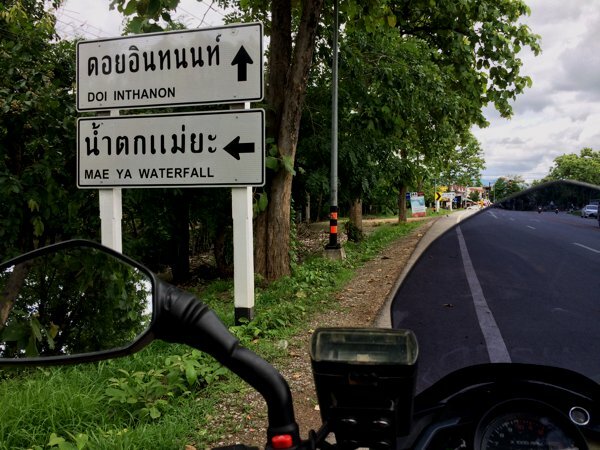 I plan to ride this month to chiang mai and sure will find it useful. Thank you. Raymond Mob 90117218. Available on Whatsapp. My iPhone is my primary GPS. For offline navigation, I like using Maps.me and HereWeGo. Both free. When data network is available, I like using Waze, Google Maps and Apple Maps. this aps can run without data ?